ARP Custom Age 625+ Head Studs for the GT-R. ARP Assembly Lube (0.5 Oz) packet. **FREE SHIPPING** The BPR stage 1 Package increases power of your stock GTR 90 WHP and 80 WTQ. Our BPR Stage 2 Package increases the power output of your stock GTR and extra 140 WHP and 160 WTQ!! GSC Power Division Billet Stage 2 Cams for your R35 GT-R.
Kelford 231 Cams for your R35 GT-R. The Alpha Performance GT-R Air/Oil Separator is designed to remove oil vapor from your VR38's crankcase before it ends up in your intake tubes and combustion chamber. The GT1R CNC Air/Oil Separator (AOS) is a maintenance free solution that's been proven in the most extreme conditions, ethanol fueled engines making over 1500hp. T1 designed this AOS with detailed internal passages and a two stage separation system. OEM Nissan GT-R (R35) Crankshaft. The Alpha Performance R35 GT-R Race Oil Filter Adapter was designed for use in high RPM and high horsepower racing and street applications. Allows for the use of a quality racing oil filter in the stock location to protect your GT-R's engine even in the harshest conditions. 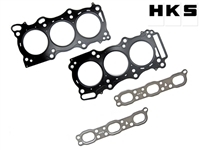 HKS Head Gasket Set for the R35 GT-R. The Race X Solid Engine Mount System allows engine torque to be instantly transferred to the pavement without having the stock rubber mount robbing power and slowing down engine response times. Most very high performance applications use a dry sump oiling system. Unfortunately changing the VR38 over to a dry sump oiling system is a very big and expensive job, so it’s not ideal for many people. 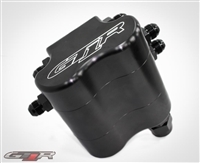 The GT1R CNC oil pan and pickup adapter is a great alternative. OEM Nissan GT-R (R35) Oil Pump. 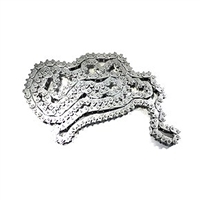 Secondary air pump block off plate (pair). 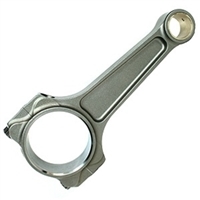 Manley Pro Series I Beam TT connecting rods. 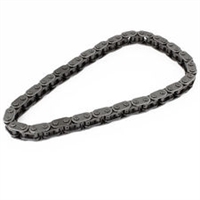 HKS Fine-Tune Serpentine belt the R35 GT-R. OEM Nissan GT-R (R35) Timing Chain Camshaft Tensioner. Supertech Dual Valve Springs with Retainers kit for your R35 GT-R.